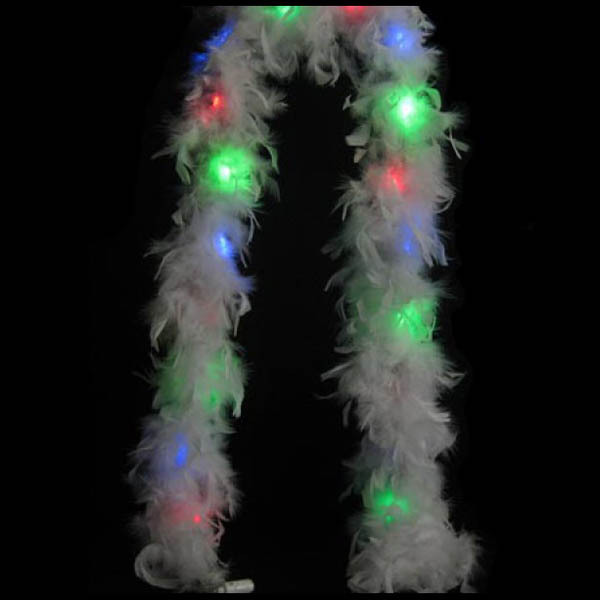 Get your party on with our 6 feet flashing white boa. 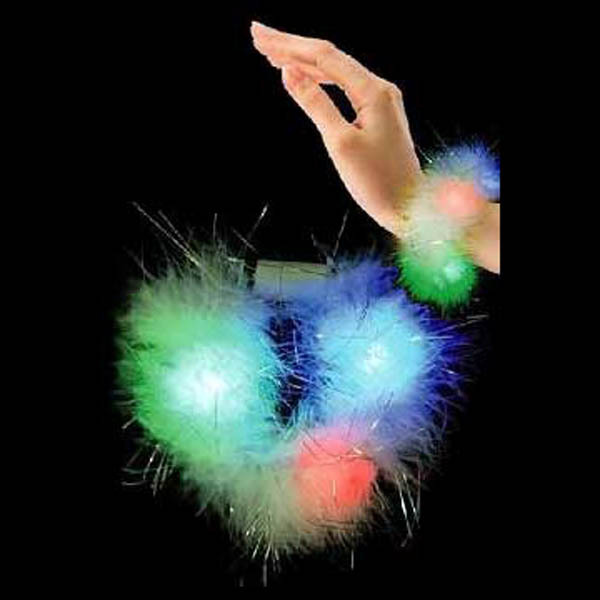 Made with thousands of feathers, our flashing boas are great for concerts, weddings, school dances, and mardi-gras! 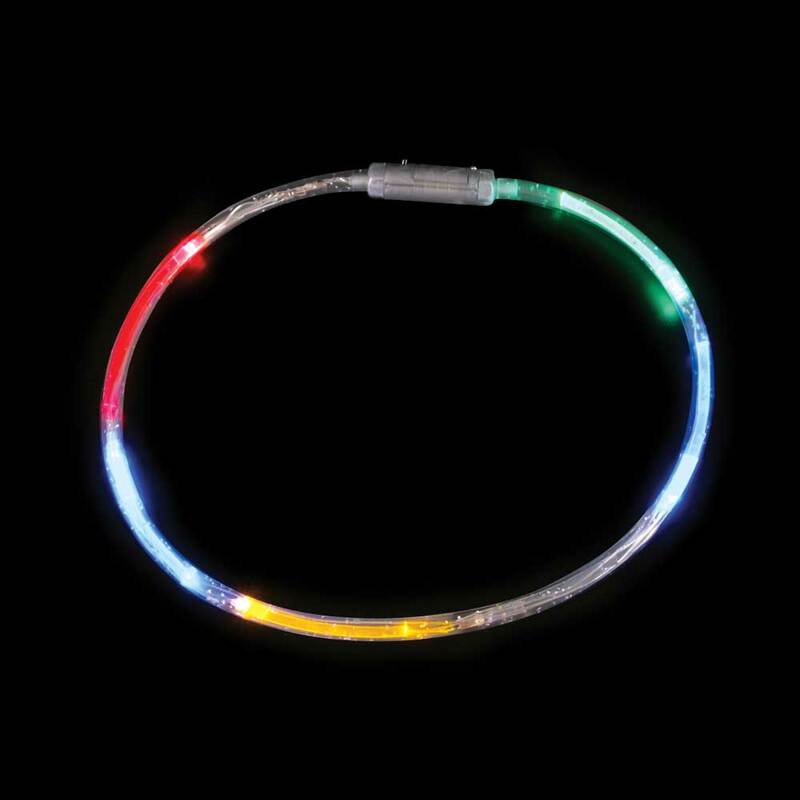 Each flashing boa is white with 12 red, blue, and green LED lights. Batteries are included, and replaceable. 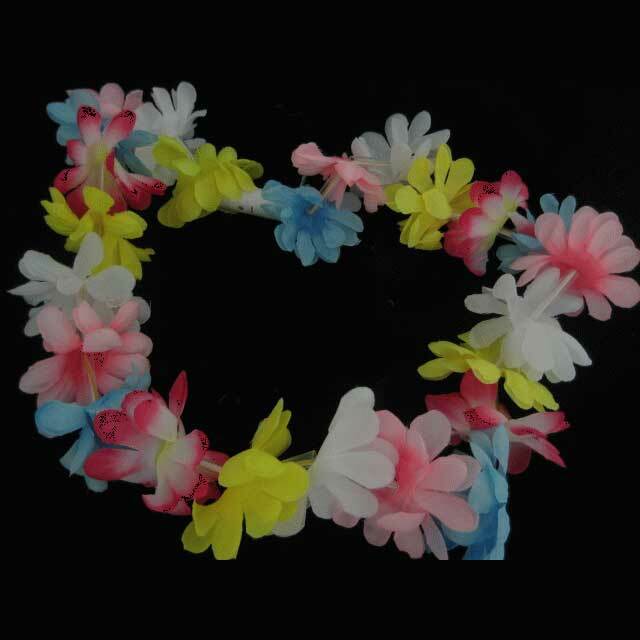 These boas are ultra luxurious with a length of 78" long!